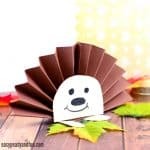 Ready for this fun fall project? Let’s start! 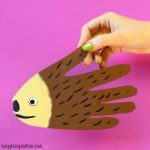 We love crafts that pop, and following our fun peacock pop up card we though a hedgehog was in order too. 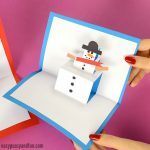 This one is super simple to make, and it’s perfect for younger kids who would love to create their very own (first) pop up card (we have another more complex coming out soon). This project is also great to get kids into origami, although it’s not one, as there’s lots of folding involved. While this one doesn’t require a lot of precision it’s a great project to practice folding nonetheless. We ran out of green construction paper when we made this one, BUT we do think it would look even better if the base paper would be green like grass. Wiggle eye stickers or goggly eyes optional. 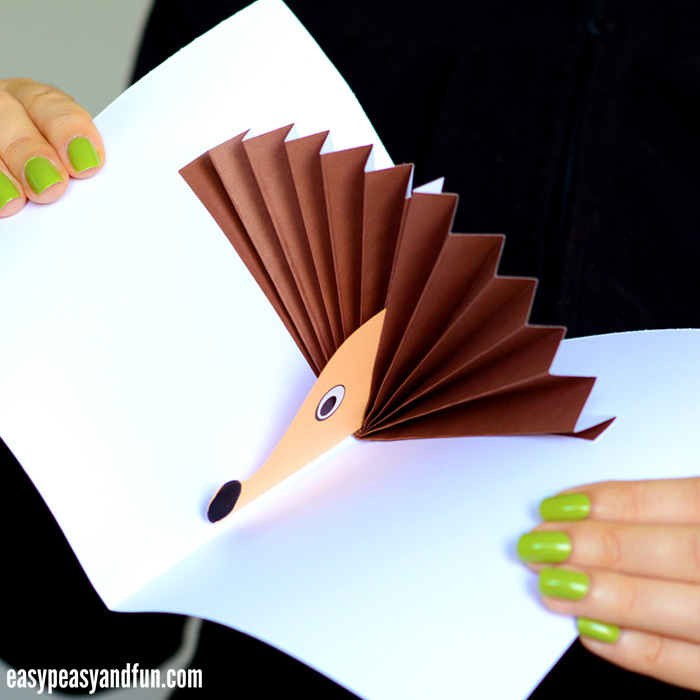 Start folding the sheet of brown paper – make accordion folds across the whole length. The older the kids, the thinner the folded parts. Fold all the way to the other end. Make sure the folds are crisp – we make them crisp by running a craft stick across them, pressing the craft stick down. Once you get to the other side, fold the folded sheet in half. 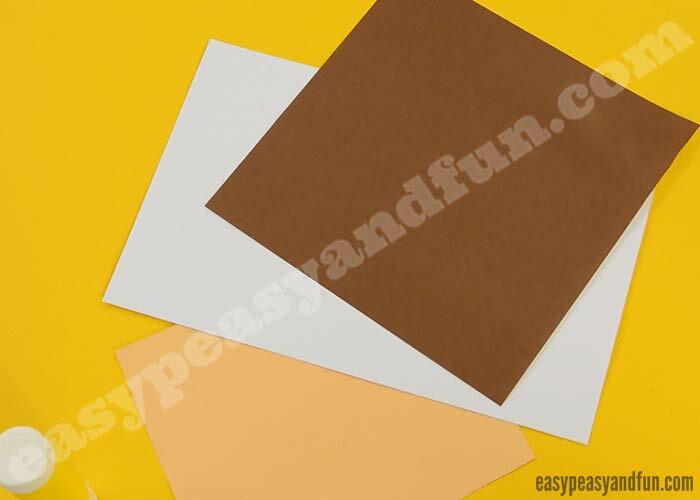 Place a beige sheet of paper between the folds (where it’s folded in half). 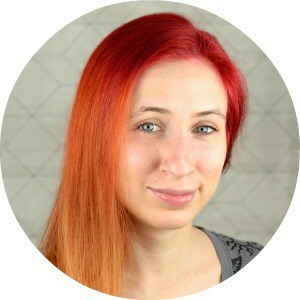 Draw a nose and the eyes (or use googly eyes or wiggle eye stickers) on both sides of the head. Apply glue on brown paper (on the last fold). Stick on the hedgehog head. 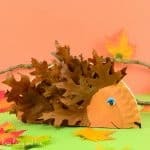 Apply glue on the hedgehog head (at the end). Press the two halves of folded brown paper together. Hold them together for the glue to set. Wait a bit for the glue to really dry. 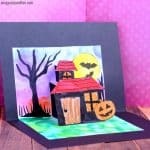 Take a sheet of construction paper. Trim it down to a smaller size if needed. 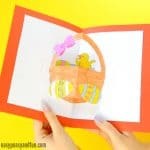 Fold in half (make a crisp fold with the craft stick). 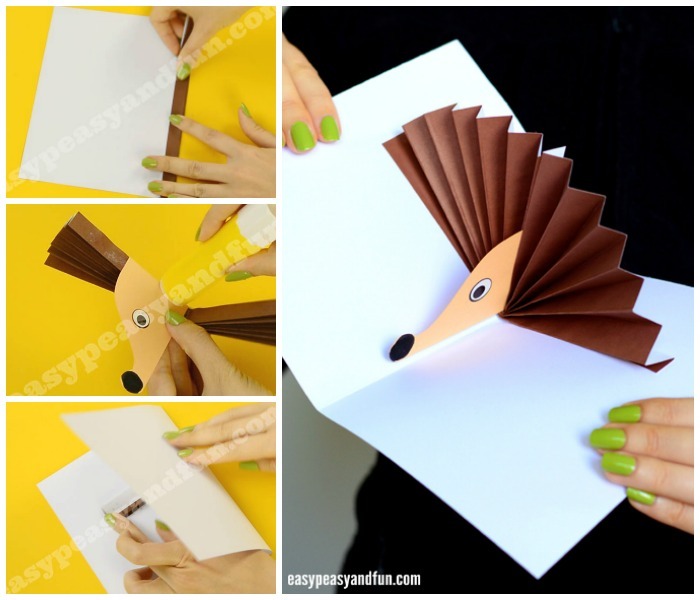 Take the hedgehog and apply glue on the outer side of the folded brown paper. Insert into the card, and close the card so that the glue sets. 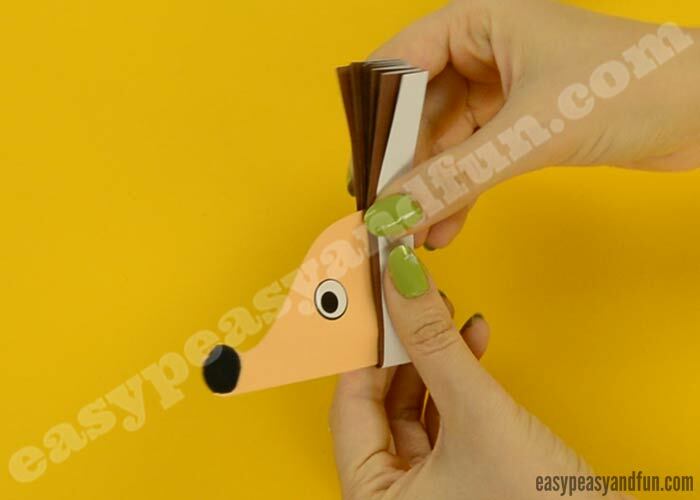 Press down firmly and wait for the glue to dry completely before you open up the card. 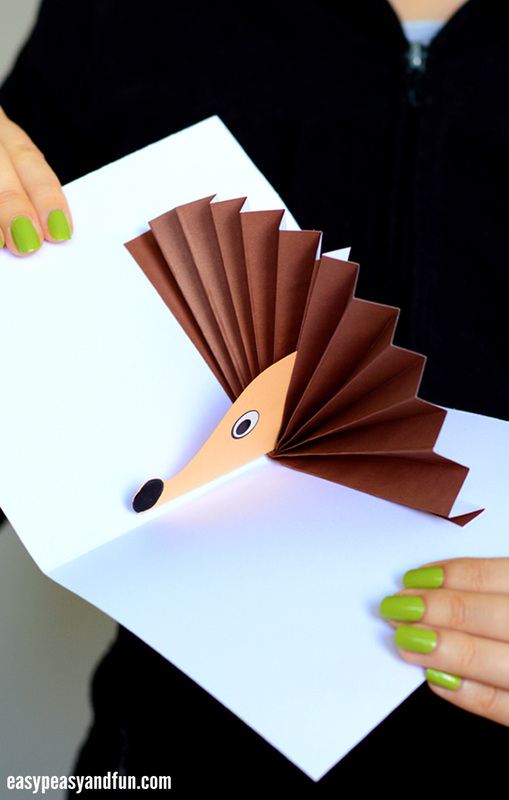 Once the glue is dry, your hedgehog pop up card is ready! You can add a personalised message and make this into a wonderful birthday card for someone. A great base that could be adapted to different designs–rainbow…peacock…arch of flowers.